Copper Real Estate Brokers are the best at what we do! We love this amazing place, own property, and are involved in the Copper Mountain community. What this means to you – whether you are a buyer or a seller- is that you get the best service available anywhere, period. We share your appreciation for the lifestyle, natural beauty, and recreation available in our unique mountain community. Copper Mountain truly is the perfect home. We know you are looking for committed and knowledgeable real estate brokers. Ones who have the unique market understanding to guide you to the perfect mountain home. No one knows Copper Mountain Real Estate like we do. Our knowledge, combined with unparalleled negotiating skills, enable us to help you attain your real estate goals. Visit our original location in Snowbridge Square. We are the local brokers who sell Copper from Copper. A Denver native, Vincent has loved Copper since skiing here opening day in 1972. 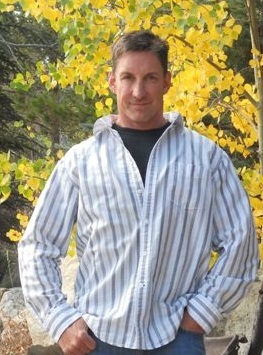 Vincent began his resort Real Estate career in Vail in 1985. With a marketing background and experience in Aspen/Vail Radio and Television he was uniquely qualified to market resort properties. As a real estate investor he was attracted to Copper's value. In 1991 he moved from Beaver Creek to join Copper's Real Estate team. The top producing Broker in the sold-out launch of Copper's New Village, Vince continued with Intrawest/Playground as Sales Trainer and Launch Director until September 2001 when he opened Copper Real Estate Brokers in the Snowbridge Square mall. January of 2010 Vince expanded Copper Real Estate Brokers by acquiring the Playground real-estate office at the base of the American Eagle. He has staffed both locations with the most capable and knowledgeable experts in Real Estate and all things Copper. In the Cliff Taylor tradition, Vince might ask you to ski with him and his daughter, Natasha, before you talk real estate. He believes belonging to Copper community and family should start with fun. However, no one is more committed or qualified to help you reach your Real Estate goals at Copper than Vince.